Whether you plan on selling, buying or both on Chicago’s North Shore this winter season, you have a big move ahead of you! Allow me to fill you in on some expert moving tips, so you can plan ahead and be better prepared. The more prepared you are, the easier it will be to transition into your new living space! 1. Declutter. There is no point in traveling with clutter that you no longer need or use, so first, go through each room and remove anything you could live without. This could be kitchen appliances you never use, clothes you haven’t worn in years, old books, etc. This is especially important if you’re selling your North Shore home, as this is an important step in the home-selling process! 2. Sell items. If you’re having a hard time parting with some of your stuff, and it has monetary value, don’t just throw it all out! It’s not a good time of year for a garage sale, but if you’ve got time, try selling it online. You can post on Facebook, Craigslist, eBay and so on. You could also donate items, recycle, and toss what is left. 3. Plan ahead. 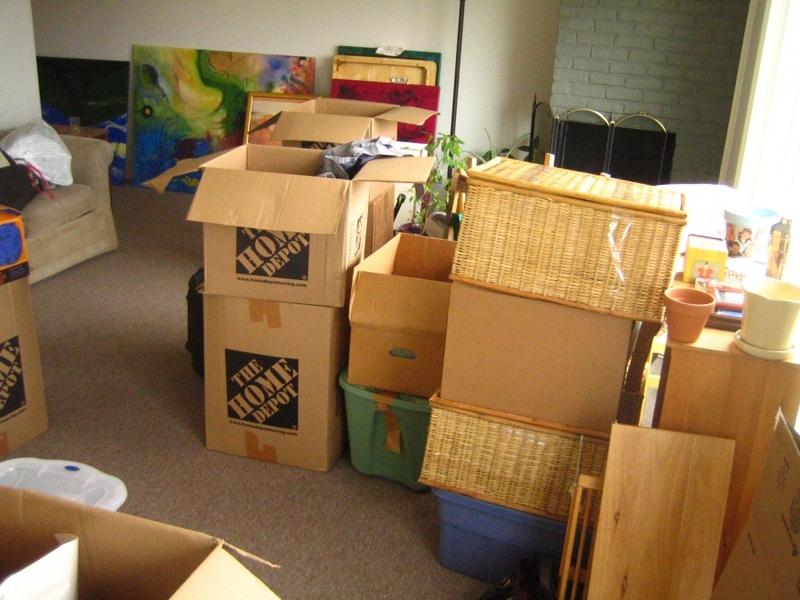 If you know you have a move ahead of you, start collecting boxes, tools and packing material. If you receive any orders from Amazon, break down the boxes and store them. Stock up on tape, permanent markers to mark the boxes with, and newspaper and bubble wrap for breakable items. If there are items you could start packing ahead of time that you don't need right now, such as summer gear, get that over with early. 4. Plan for move-out day. Pack room by room while labeling boxes as you go. Write what is in the box and which room it goes in. When unpacking boxes at the new home, place each box in its designated room right away. Leave out anything you’ll need within the first day or two, and pack that in a suitcase you’ll bring with you into your new home. 5. Pack appropriately. Experts recommend wrapping delicate items with plastic sheets and then bubble wrap, and packing them into boxes so they can’t move around. Wrap plastic sheets around furniture to protect them during the move. Mark fragile boxes so movers know to be extra careful. If very fragile or important, bring with you in your own vehicle. 6. Keep yourself safe. If you can dismantle furniture and large items, do so to make packing easier and safer for you. Avoid carrying and lifting heavy objects when possible. Keep screws and little pieces in clear Ziploc bags, marked so you don’t lose any important items. Hire movers to help you out if you’ve got a lot of heavy, big stuff! When ready to achieve your North Shore real estate market goals in Glencoe,Winnetka, Highland Park, Deerfield, Northbrook, Lake Forest, Wilmette,Evanston, Glenview, Riverwoods, Bannockburn, or other North Shore communities, give me a call! I look forward to guiding your through the home-selling and/or home-buying process, so you can comfortably settle down in your new home this winter!